Harley-Davidson® doesn’t introduce a brand new engine every day. While the previous V-Twins that have powered Harley-Davidson® models have been nearly perfect, there’s always room for improvement. To develop the new Milwaukee-Eight™ family of engines, Harley-Davidson® engineers asked for extensive rider feedback and worked to meet the demands of the most trusted critics on the road: Harley-Davidson® riders. 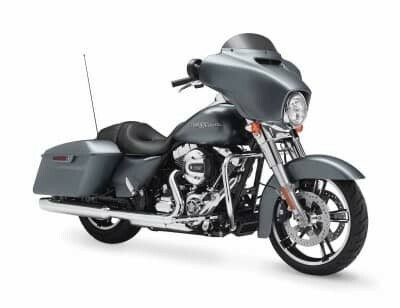 You can find the product of that development here at Rawhide Harley-Davidson® in the Touring, Trike, and CVO™ lineups. The new Milwaukee-Eight™ engine is designed to deliver more power for better acceleration and a more satisfying ride. 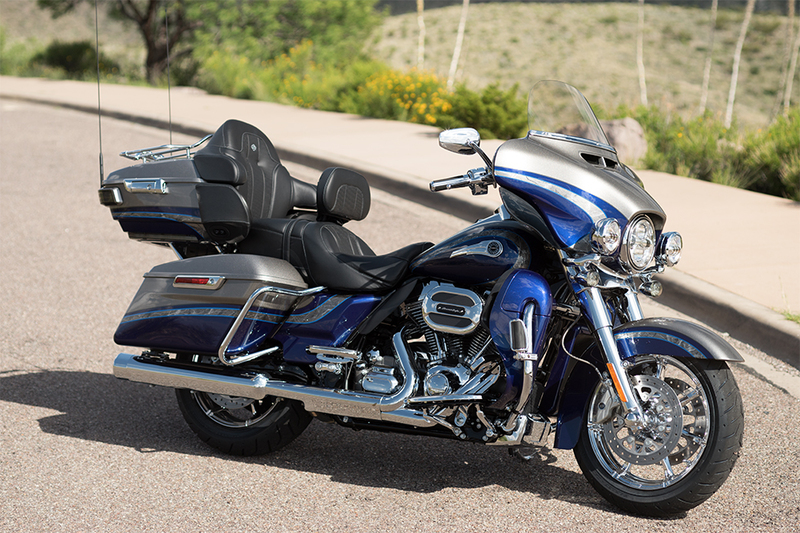 To achieve these goals, displacement moves up to 107 cubic inches for the Touring and Trike lineup, and 114 cubic inches for two of the CVO™ models. 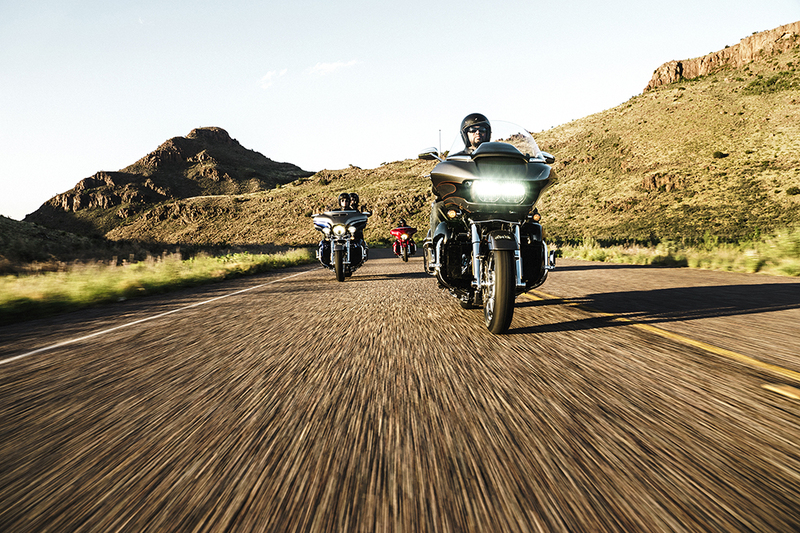 Displacement isn’t the only thing that helps the Milwaukee-Eight™ make more power. It also has a higher compression ratio, four valves, and dual spark plugs, to help it produce power efficiently. To keep things simple and durable, the Milwaukee-Eight™ uses a single chain driven cam. The Milwaukee-Eight™ 107 is available in an air-cooled and Twin-Cooled™ model with liquid cooling for the heads. The bigger Milwaukee-Eight™ 114 is only available in the Twin-Cooled™ format. Whichever one you choose, the Milwaukee-Eight™ offers improved cooling over previous engines. The catalytic converter is farther from the cockpit, so you ultimately benefit from a cooler riding temperature. That’s a feature you’ll appreciate during the hot summers of Lenexa, KS. To further improve ride quality, the Harley-Davidson® Milwaukee-Eight™ is counter-balanced so the ride is smoother. It’s also rubber-mounted for added vibration damping. In addition, the new Milwaukee-Eight™ is slimmer and designed to stay out of your way. That helps all riders enjoy a more comfortable riding position. You can find the new Milwaukee-Eight™ V-Twin in the Harley-Davidson® Touring, Trike, and CVO™ model lines here at Rawhide Harley-Davidson®. 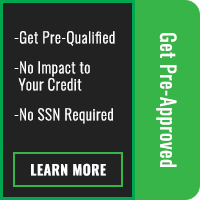 We’re conveniently located at 725 North Rawhide Road in Olathe, KS, so don’t miss out on this new high-tech V-Twin if you’re shopping for a motorcycle in the Overland Park area!